A rite of passage for those who have never had a treat from the raw bar, a “must-do” for seasoned veterans, nothing helps visitors feel right at home quite like raw oysters or littlenecks (or even cherrystones) served up with their favorite accompaniments, such as cocktail sauce, lemon, or Tabasco. Some places will even make "shots" out of the raw seafood and the accompaniments for an easy to eat raw treat. While those who haven’t tried raw oysters or clams before may be put off by the thought, once you have tried something on the half-shell, you’ll be hooked, and there is no better place to become a raw bar convert than the sandy shores of Cape Cod. 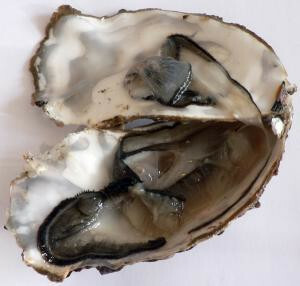 There are a variety of claims out there, such as that raw oysters are an aphrodisiac, to various health claims, but the best reason for visiting one of the many raw bars on Cape Cod is that raw oysters and clams that are fresh and served upright are one of the tastiest things that the sea has to offer. It’s not truly a Cape Cod vacation without a visit to a raw bar. Never been to a raw bar on Cape Cod? You don't know what you are missing!